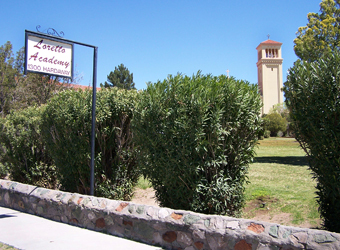 Since 1923, this historic and beautiful religious academy has served the ever-growing communities of El Paso, Texas and Juarez, Mexico. One of the city's oldest structures, its history is apparent with a glance at its classic architecture, its immaculate grounds, and especially its looming old tower, which dominates the view. 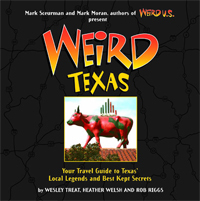 But there is one bit of dark history, or more accurately, folklore associated with this noble institution, and it all happens to center around the stately tower. 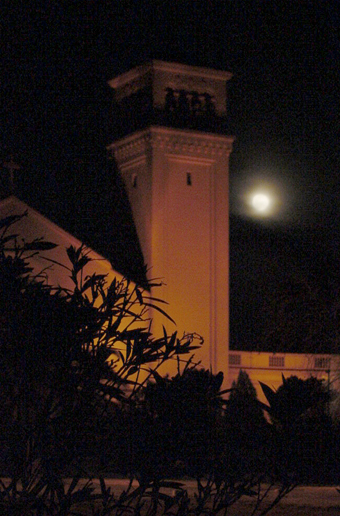 Even though there is no historical evidence to support the spooky story, the haunting of Loretto's tower is one of El Paso's favorite ghost tales, and was being whispered during dark nights way back when my Grandmother attended boarding school there. The lore states that on certain nights, the specter of a ghostly nun can be seen pacing slowly back and forth up in highest reaches of the tower, her shadowy figure in its old-fashioned habit just visible through the arched openings. The reasons for her restless apparition seem to differ depending on the teller, but they all seem to somehow involve an illicit pregnancy on the nun's part. In some versions, she was locked away in the tower to cover her shameful betrayal of her holy vows; in other versions, the unfortunate nun took her own life in the tower to spare herself and the Academy any embarrassment stemming from her sins against the order. While there may be no historical record of any such event associated with Loretto, it's the very unprovability of such tale that sometimes teases and tantalizes us with creepy and mysterious possibilities. Whatever the case, there are still those who are convinced that they have seen the ghostly nun of the tower roaming between the shadows in the night.